Home / Stock Picks / Hot Stocks / What the Funko? Should You Buy FNKO Stock After Earnings Beat? What the Funko? Should You Buy FNKO Stock After Earnings Beat? 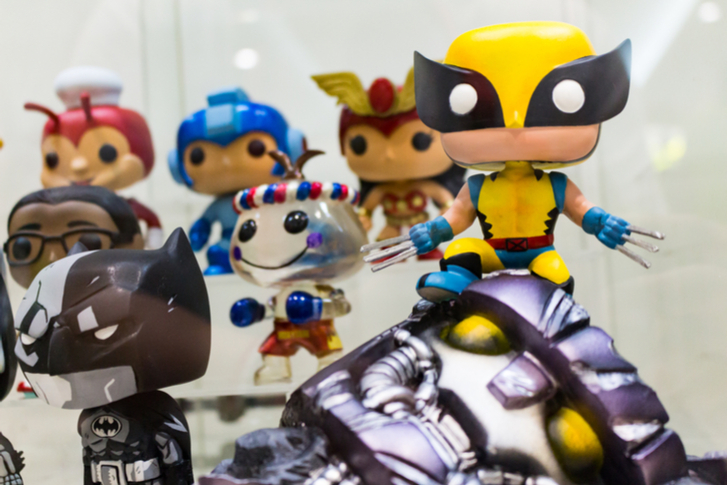 Haven’t heard of Funko (NASDAQ:FNKO) before? Don’t worry, you’re not alone. Plenty of readers are coming by InvestorPlace just trying to figure out what the heck this company is and why FNKO stock is up 213% this year and more than 50% in the past month. The stock sports a market cap of just under $500 million, so it’s a small name to begin with. A few days ago, the company reported earnings per share of 7 cents, easily topping expectations of 2 cents per share. Revenue of roughly $139 million grew 32% year-over-year and beat estimates by more than $16 million (13% above estimates). It was a solid quarter, giving bulls even more ammunition to drive shares higher. The headline numbers looked good, given that FNKO stock beat estimates so handedly. And the report was still pretty good when you dig through the numbers too. The deal Mariotti was referencing with Fortnite includes creating toys and collectibles based on what is arguably the hottest video game of 2018. Less than a week before the Fortnite deal was announced, Funko announced a similar collectibles deal with Pokemon. Should Hasbro (NYSE:HAS) or Mattel (NYSE:MAT) be worried? I wouldn’t go that far, at least not yet. Maybe it would even be a worthy M&A move should these two be looking for a growth source. After all, analysts expect FNKO stock to grow sales by almost 20% this year. However, that seems awfully conservative given Funko’s recent results, the strong U.S. economy and the upcoming holiday season. In 2019, analysts expect sales growth of roughly 13%. On the earnings front, analysts expect growth of more than 360% this year to 65 cents per share and further growth of 34% in 2019 to 88 cents per share. Given the momentum this quarter, it will be interesting to see if Funko can top these numbers or if the estimates creep higher. Currently, that values FNKO stock at 32 times this year’s earnings and less than 24 times 2019 estimates. So how do we trade these shares? 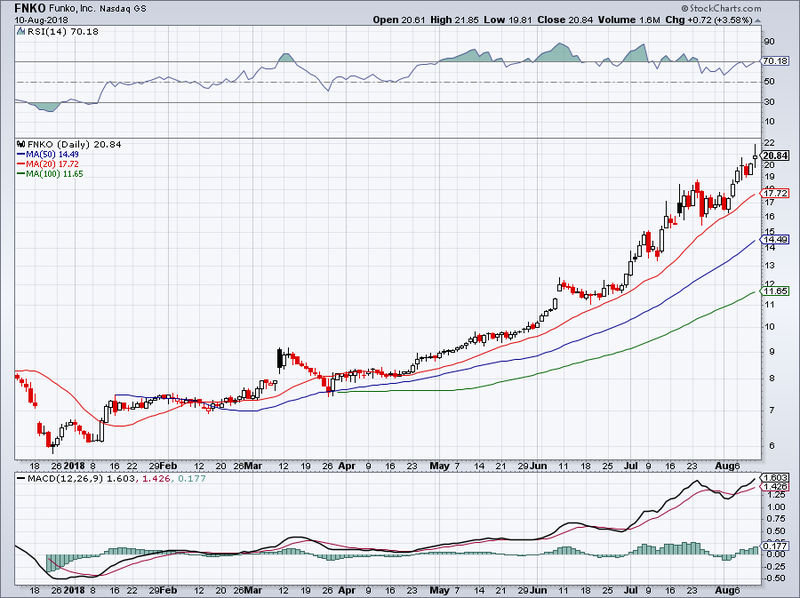 If investors are interested in FNKO stock, I say keep it simple. After all, the simplest trades are often the best trades. After shares took off in April, the 20-day moving average has been a pretty good proxy for when to buy the stock. More aggressive bulls can use the 17-day moving average (not shown), a level that has been hugging FNKO stock a bit more tightly. Currently, this would require a correction of roughly 10%. Should 20-day support fail, look for support in the most recent consolidation area, between $16 and $18. Worth pointing out is that the 38.2% Fibonacci retracement level sits at $15.93, which may be worth a shot for interested investors. That’s about where the 50-day moving average could come into play as well. Article printed from InvestorPlace Media, https://investorplace.com/2018/08/when-to-buy-fnko-stock/.